Corporate transparency has its share of risks, but Intronis CEO Rick Faulk says the pros far outweigh the cons. 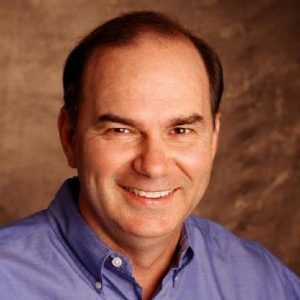 Editor’s note: This is a guest article from Rick Faulk, the CEO of cloud backup and disaster recovery solution Intronis (disclosure: an OpenView portfolio company). Once a month, all of employees at my company gather in a conference room for what we like to call a “Town Hall” meeting. We start by sharing critical financial metrics — like how much cash we have in the bank, how much cash we’re projecting to bring in, and what all of that means for the business and its stakeholders. We discuss the company’s vital signs — like customer churn, cash burn, and monthly recurring revenue. We review every department’s performance against goals, grade ourselves on our prior work, and talk about what we can do — from the CEO on down — to get better the next month. Then we open the floor to, quite literally, any questions our team members want to ask. Nothing is off limits. Whether it’s an inquiry into why the management team made a big decision or a simple question about the upward or downward trend of a particular metric, we answer every query honestly. And the underlying goal of that forum is simple: Total corporate transparency. In my experience as the CEO of several expansion-stage technology companies, I’ve found that revealing your secrets and company’s inner workings can have a powerful impact on employee performance and morale. Total trust and employee buy-in: When you’re honest with employees, they pay you back with trust and buy-in. They don’t question the motivation behind every decision, they’re much quicker to buy-in to corporate initiatives, and they often independently promote a sense of teamwork and camaraderie. A more informed workforce: By telling your team what you’re doing, why you’re doing it, and what impact those decisions are having on the company’s bottom line, you create a knowledgeable workforce that feels empowered to contribute feedback that’s more acutely targeted toward your most important objectives. Better company-wide accountability: With total transparency, I’ve found that everyone in the organization — not just team leaders or executives — feels accountable for the company’s performance. If someone isn’t carrying their weight, that person tends to course correct without reprimand. Conversely, when someone goes above and beyond the call of duty, everyone knows about it and their hard work is lauded — a response that only incentivizes everyone else to do the same. To recap, transparency can create a more engaged, ingratiated workforce that delivers better ideas and higher quality feedback. Additionally, your team — from high-level executives to entry-level developers — will hold itself more accountable to key goals and objectives, and you’ll find it easier to achieve buy-in when big changes are necessary. So, why wouldn’t every business opt for total transparency? Of course, there are potential downsides to transparency, as well. What exactly should you be communicating to your stakeholders? What if sensitive information is released to competitors? Yes, it’s true that our company takes a risk every month by revealing data like the cash we have on hand and our gross margins. If a disgruntled employee ever wanted to take revenge, he or she could easily hand that information over to our competitors. What if team members misinterpret our openness? Like any growing company, we’ve had our good and bad months. And we’ve understood the possibility that some employees might view less than ideal financial data as an indication that the business was heading for the startup graveyard. Then again, I can also say from experience that neither of those fears has ever come to fruition. Going back to the benefits I listed above, transparency tends to create an attitude and spirit among employees that changes their outlook on corporate performance. If we have a bad month, employees don’t run for the hills or abandon ship — they buckle down and look for ways to drive better results. In that way, I think most fears of transparency are myths. In fact, companies that lack transparency typically suffer from much more damaging side effects, such as higher employee turnover, slower decision making, and internal unrest. Furthermore, lying about company performance (or hiding it from certain employees) actually requires more work and induces more stress. For those that might argue that transparency isn’t scalable, I present Google. To this day, the search giant hosts weekly all-hands-on-deck meetings in which employees are encouraged to ask questions directly to Google founders Larry Page and Sergey Brin about any number of company issues. The fact that Page and Brin still engage in those discussions is remarkable, but it simply shows that they’ve got the DNA to lead transparent companies. The same potential likely exists for your organization, but are you ready to act on it? If your tendency is to be guarded, secretive, and dishonest about where your business is going, what it’s doing, why it’s doing it, and how it’s performing against those goals, then your team will embrace that philosophy as the business grows. 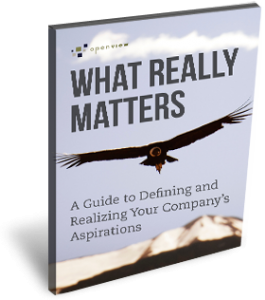 If, on the other hand, you make transparency an absolute business imperative, then every level of your organization will adopt that philosophy and work hard to weave it into the fabric of your company culture as you scale. Ultimately, that won’t just help your company deliver better results. It will make the job of running it a hell of a lot more fun. During the early years of a company’s life, business leaders generally place a lot of focus on things like product and customer development. But for long-term success, focusing on company development may just be the most important step you can take.